← “Everett’s Ultimate Commentary of the Bible, Volume II” available now! First of all, I’m sorry for the horrendous Engrish and the weird scanline situation. I love 8-bit art, and seeing the items listed there all in a row gives me great joy. Anyway, you can tell right from the beginning that this game is different. This gave is meant to be a huge adventure fraught with peril and excitement. But even with this first impression you cannot imagine the scope of what you are about to experience. Man, the second quest is difficult. Sorry for dying so much. And once you strike out on your own, you will be in for a world of hurt. The first screen of the game has no enemies. It is a perfectly safe area where you can get used to the controls and the feel of Link’s movement. And this is important. Legend of Zelda is an RPG, but it’s an Action RPG. Rather than taking five steps and then falling into a random encounter that takes you out of the action and tortures you with boring, monotonous, tedious turn-based combat, LoZ lets you just stab the jerks. You can acquire many weapons, including bombs, boomerangs, and the Master Sword. LoZ has many classic enemies and challenging bosses. But first you have to get to them. Eventually you will stumble upon a dungeon. There are eight dungeons in total and you don’t have to complete them in order. The world of Hyrule is your oyster. 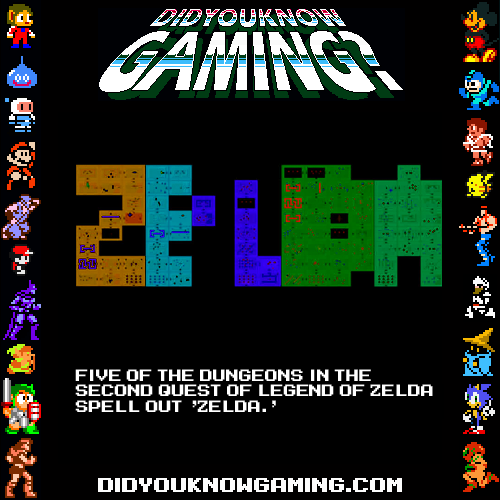 One of the things that made Legend of Zelda great is its abundance of secrets (this was also one of the things that made Super Mario Bros. great). Almost all of them can only be found by accident. This led to endless secret-sharing amongst players. Work places and schools were buzzing with exchanges of secrets back in 1986. Of course, nowadays you have to use a guide on the web if you don’t personally know an old pro you can ask. But even if the guide tells you exactly where the secret is, you still have to go get it. Some secret locations need bombs to blast away the wall, so you need to get bombs. And so on. The abundance of secrets can be seen as a downside because if you use a guide then you don’t really feel like an explorer; you feel like an errand boy–but if you don’t use a guide, then you’re going to be hunting for secrets for a loooong time. I think that that is the biggest flaw with LoZ. Later games in the series made secrets more manageable and kept the fun while trimming away the frustration. I think the second biggest flaw is the limited soundtrack. There are only so many times you can hear the dungeon music before going crazy. I mean, the Famicom Disk System had plenty of room that they could have used for music. But I guess multiple save files are pretty important, too. Oh yeah, the save files. The original version was on the Famicom Disk System, so the read-write capability of the disks easily allowed for saving and loading files. When the game was released in North America, where there was no Disk System, Nintendo of America had to come up with a different solution. 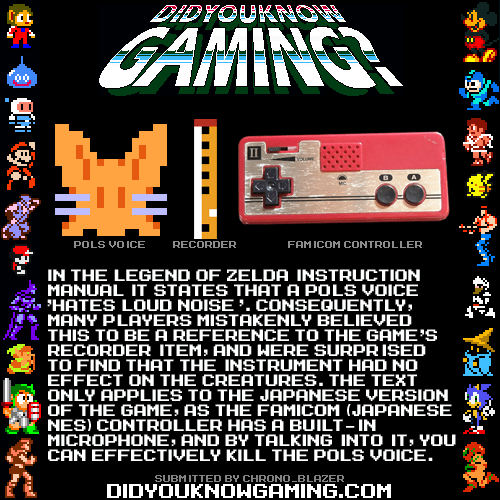 Since non-volatile RAM was extremely expensive, they decided to include volatile RAM in the cartridge along with a battery to continuously supply power to it, making LoZ the very first console game to include a battery. There’s so much more that can be said about LoZ that I couldn’t possibly list it all. So I’m just gonna leave you with this video, an analysis of the design philosophies of LoZ and LoZ: A Link to the Past.